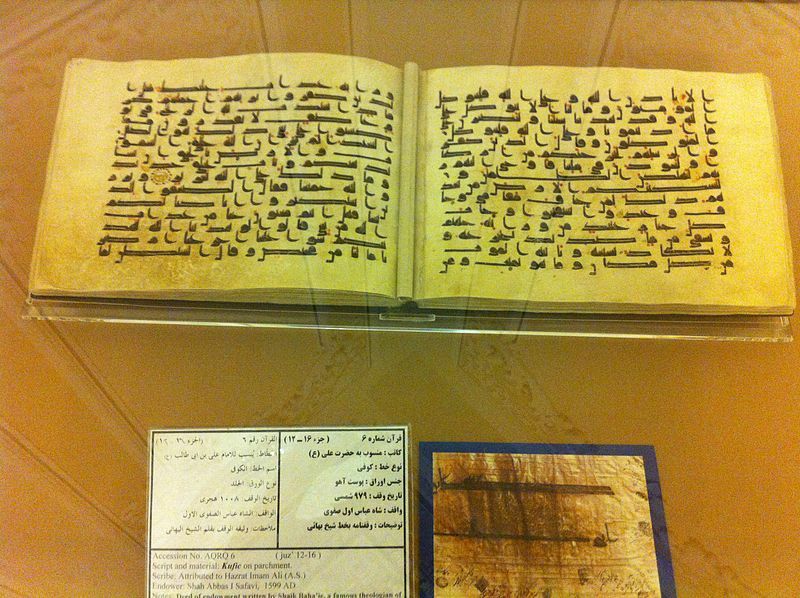 A Quran written by Ali Ibn Abi Talib, the close companion of Muhammad and first Shia Imam. This photo was taken in Mashad, Iran, where this Quran is kept. The words of Allah for living with, for Everlasting Life in Heaven. Worldly occupation is an action to lament, the disposition of mind is to be different from to serve and protect, and to go to on the earth with strength of spirit for people for the act of seeking the Lord.